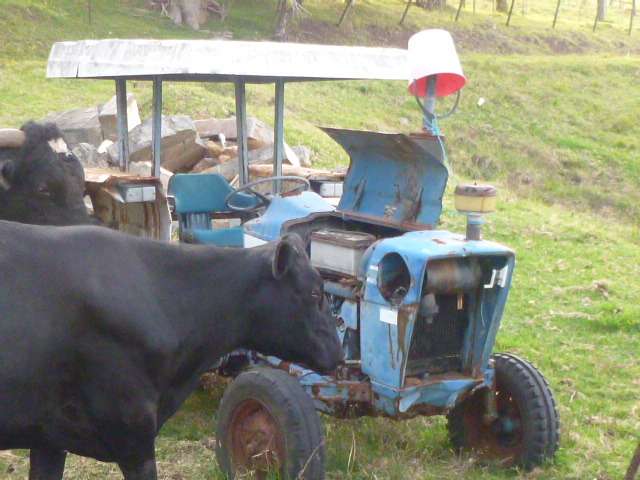 Lead-safety Message:Old Ford Tractor with pale rectangle- its Battery! Cattle are attracted by the Smell! If the Battery is Free they will smash the Case & Lick the Lead .